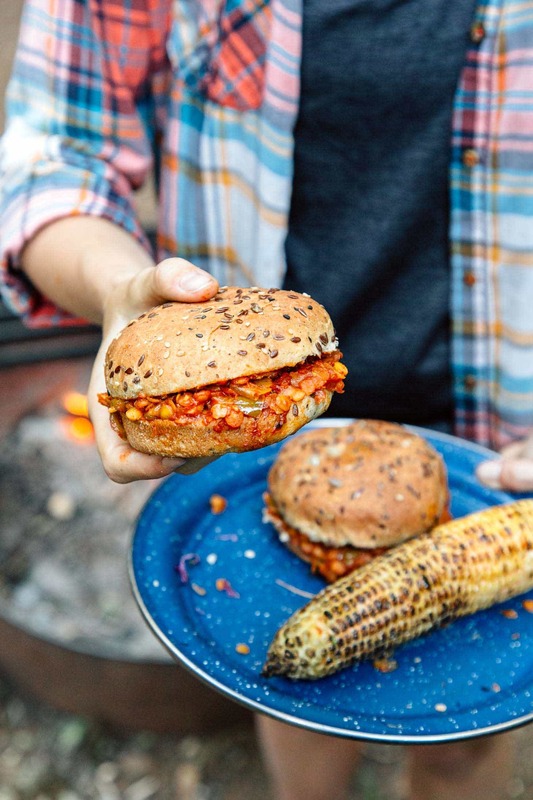 A plant-based twist on a summer classic, these red lentil sloppy joes pack in just as much flavor (and protein) as the original – but without all the funky extras. For many, Sloppy Joes are a summertime tradition that evokes fond memories of their youth. The first time I had one was at summer camp, but at the time I didn’t know they were called “sloppy joes”. It was just the sandwich they served on Mystery Meat Mondays. In the dining hall, the counselors would keep us guessing about what was actually in the tangy meat slurry sandwich. With smiles on their faces, they offered up a variety of endangered animals as possibilities: pandas, bald eagles, rhinoceroses. But even for a summer camp in Connecticut, we knew it was doubtful they had a budget for black market meat like that. In the end, referencing a Simpson episode, we concluded it was most likely a blend of circus animals. Some real genuine grade F meat. Looking back, I have a lot of questions. About my childhood, that summer camp, and more to the point, this sandwich: the Sloppy Joe. Yes, it was delicious, but my initial perception of it was framed by suspicion and apprehension – like it was some Sweeny Todd concoction. As an adult, I later learned Sloppy Joe’s are made with regular ground beef – which, in today’s highly processed meat industry, is probably the real mystery meat. So when Megan suggested we make red lentil sloppy joes, I felt it was a good chance to reshape my perception of the dish. 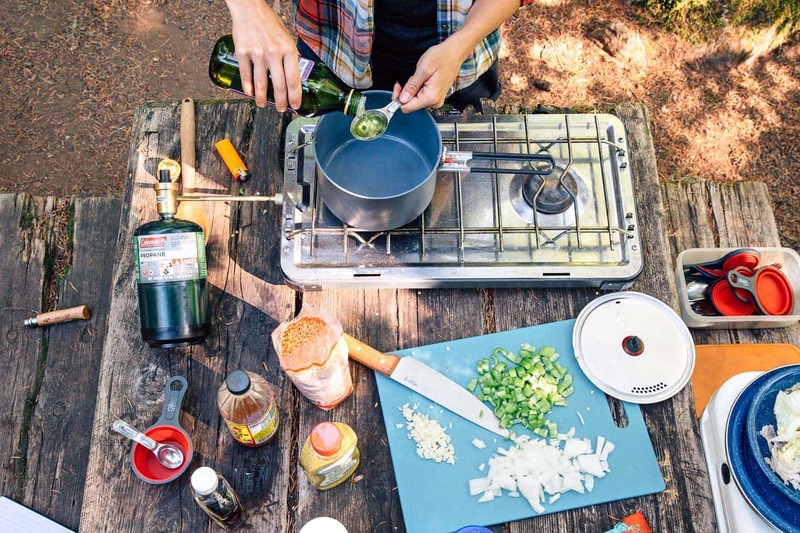 Building a recipe from scratch that you’ve only ever had from a can or were served at some ghoulish summer camp, can be a surprisingly productive experience. This recipe bypasses a lot of the mystery in exchange for whole foods and readily available spices. Red lentils, yellow onion, Anaheim pepper, and garlic comprise the hearty base of the dish. The flavors are then amplified with tomato paste, apple cider vinegar, maple syrup, mustard, chili powder, and vegan Worcestershire sauce. All of which are pretty clear and easy to understand. Except, of course, for the Worcestershire (wooster-shire) sauce. But we’ll leave its mysterious origins for another day. When simmered down, all of these ingredients blend together to make a hearty mix that tastes absolutely delicious between two hamburger buns. Enjoying it at a campsite was great, but knowing with certainty it didn’t contain a single kangaroo or silverback gorilla was even better. 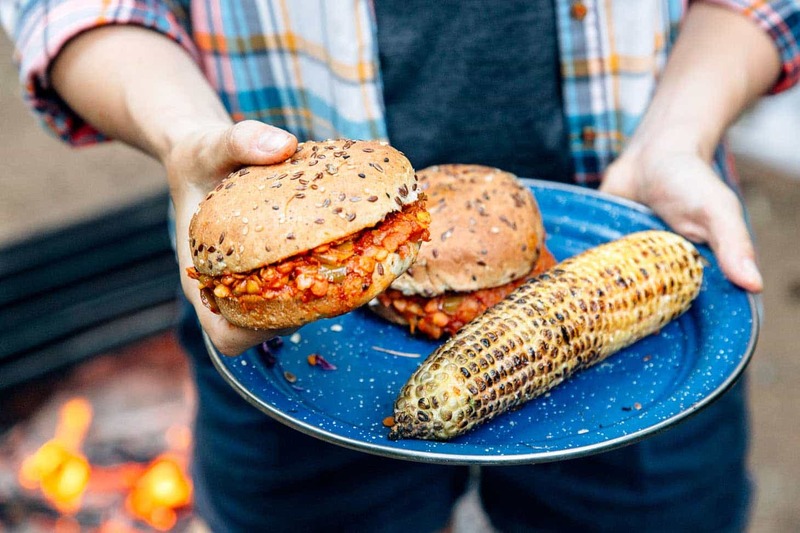 So whether you want a more transparent and honest connection with your sloppy joes, or just want something easy and delicious to make around the campfire, give this red lentil version a try the next time you go camping. ‣ There are a handful of vegan Worcestershire sauces on the market. Our local store carries this one. They even have a gluten-free version! If you’re not vegan/vegetarian, you can use regular Worcestershire sauce instead. ‣ If your grocery store doesn’t carry Anaheim peppers, you can sub with a green bell pepper. 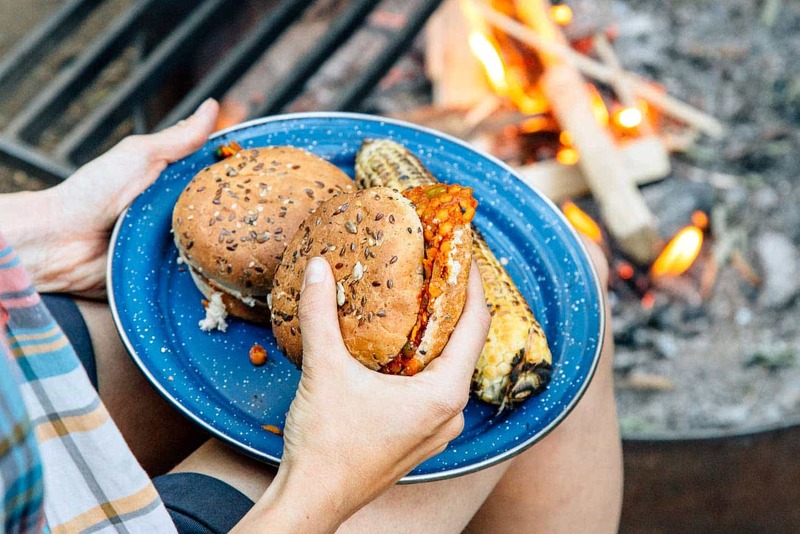 A plant-based approach to a classic camping recipe, these easy one-pot Red Lentil Sloppy Joes are a nutritious, protein-packed addition to your camp menu. In a medium pot, heat the oil over medium heat and add the chopped onions and Anaheim pepper. Saute until soft and the onions just begin to turn golden, 3-4 minutes. Add the garlic and cook 1 minute. Add the red lentils and 1 ½ cup water to the pot. Bring to a boil, then reduce to a simmer. Cook about 10 minutes, stirring occasionally, until the lentils are pretty tender but not falling apart. Add the tomato paste, mustard, maple syrup, apple cider vinegar, Worcestershire, chili powder, and salt. Stir to combine. Simmer until the sauce thickens a bit, 3-5 minutes more. Serve on toasted buns with whatever toppings and sides you love! This recipe can be made at home ahead of your trip. 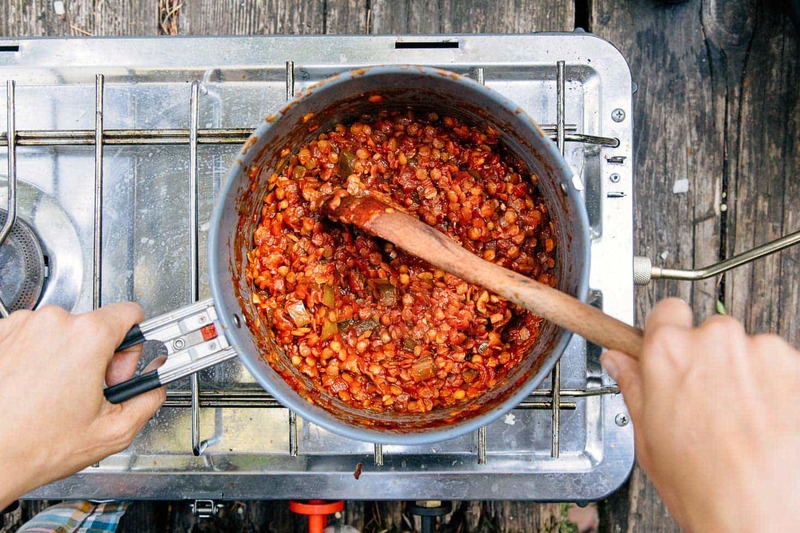 Pack the cooked lentils in Tupperware and reheat in a pot over your camp stove. Toast the buns and you're ready to go! Calories are based on the lentil filling - the nutritional values of buns vary greatly so you'll need to take that into account with whatever buns you choose. This has become a regular recipe in our house. It’s fast, simple, inexpensive and delicious. Even the toddler likes it. Thank you!! Hurray for ‘Sloppy Joes’! I love your recipe and how detailed you were. Will definitely try this on our next trip! I made this tonight for my family. My omnivore son went for seconds! It was very delicious. This one’s a keeper! 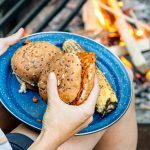 Fantastic Recipe my wife and three girls love it…and we are all about pre making everything for camping, then then you have more time for laughing and playing! And we did a charred poblano instead of the bell pepper! Great recipe, I made this at home and substituted a jalapeno pepper for half of the Anaheim and also doubled the batch. This is definitely going in our rotation. I’m not a vegan but I have been trying to limit my meat intake. I’ve never cooked with lentils before, but I made this dish today and it turned out really delicious and easy! And with whole wheat buns it’s far more filling than I imagined. I had two sandwiches and I’m more than stuffed! Will definitely try more of your recipes. Wow! I absolutely love this recipe. I doubled it and had plenty to eat as “stew”! I didn’t bother with the bread. It make a great dip as well. It’s good cold as well as hot. Love it!!!!! I am really looking forward to making this “sloppy joe” variation. While neither my husband not I are strict vegetarian, we eat very little meat in our diet. Even if you’re not vegetarian, it’s nice to not have to worry packing meat in a cooler while camping. So tasty! I used leftover bell pepper and a bit of veggie broth with ours. My toddler devoured an entire bowl of this! This will definitely be on our repeat list. Thank you! Loved this recipe! Made a few alterations because of food sensitivities and it still turned out great! I’ve made a habit of buying random bags of lentils and beans at the local Indian grocery store, then trying to find a recipe to use them in. So glad I found this one! I used a mix of 5 lentils, and I also added grated carrot and diced tomatoes when I added the garlic, to fit in more veggies. It turned out delicious and I’ll definitely be making it again! I am not vegan, vegetarian or super health conscious, I just wanted a different recipe where I could use super cheap bulk lentils. I think my family was getting tired of Indian meals and soups. This is so simple and amazing! Not to mention super quick, finished them 5 min quicker and were already super tender, which was great because my preschooler was already asking for food when I began getting the ingredients out. I have bookmarked and starred this for a regular recipe and big family gatherings in the summer. Big hug to the creator! Thank you so much! We’re so glad to hear you (and your family) liked it! Red lentils are amazing, but we’ve found that depending on which brand we pick up the cook time can definitely vary. These were amazing! Instead of water I used broth ( made it with Better Than Bouillon No Beef – Base). Even my husband, who typically doesn’t love the meatless meals I concoct , seemed to really enjoy this 🙂 Thanks! I get all three flavors of Better Than Bouillon bases at Costco. They are low-sodium – about 360 mg per teaspoon, and I usually only add abou 1 tsp. To 4 cups of water. It’s the best and so much more economical than buying broths in boxes or cans. We made this and it was fabulous. Brought whole grain buns in our stash. Even was able to offer it to some people that arrived in the dark to set up camp near us and were hungry. I would not make this ahead unless you want to. 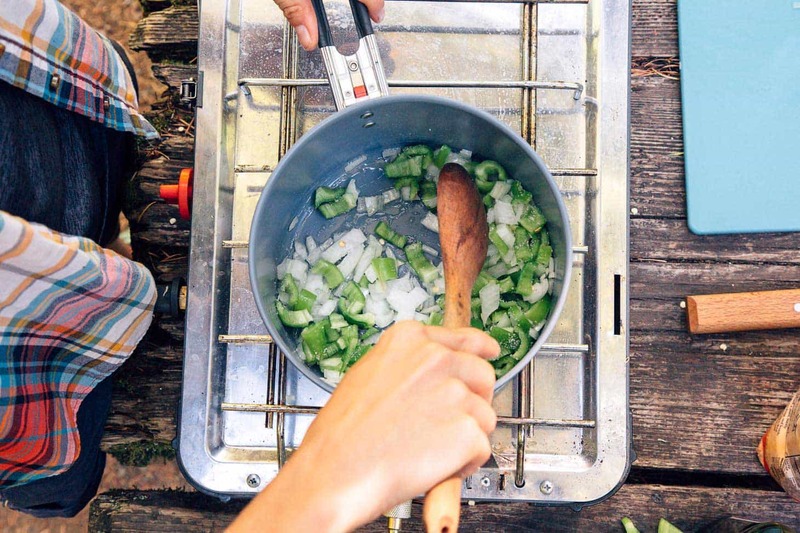 It is super easy and fast to make at the campsite, and to spice up to your preference level. For more traditional sloppy joe types, or in a pinch, these delicious fresh sauce ingredients can be substituted with “barbecue sauce”. This was awesome! I made it ahead of a camping trip, because I wanted to try it before being out with something new. I really like how it tastes. It was easy to make. I used low sodium vegetable broth, half the chili powder and left out the Anaheim pepper. I am going to have to add this to my regular meals at home. Thanks for you recipe. We’re so happy you enjoyed this, Tracy! Good call on trying it out before your trip, and your changes sound perfect for those that might like a little less heat. Thanks for your input! This looks absolutely delicious. Vegan too! Plus letil has so much nutrients. Can’t wait to try it.